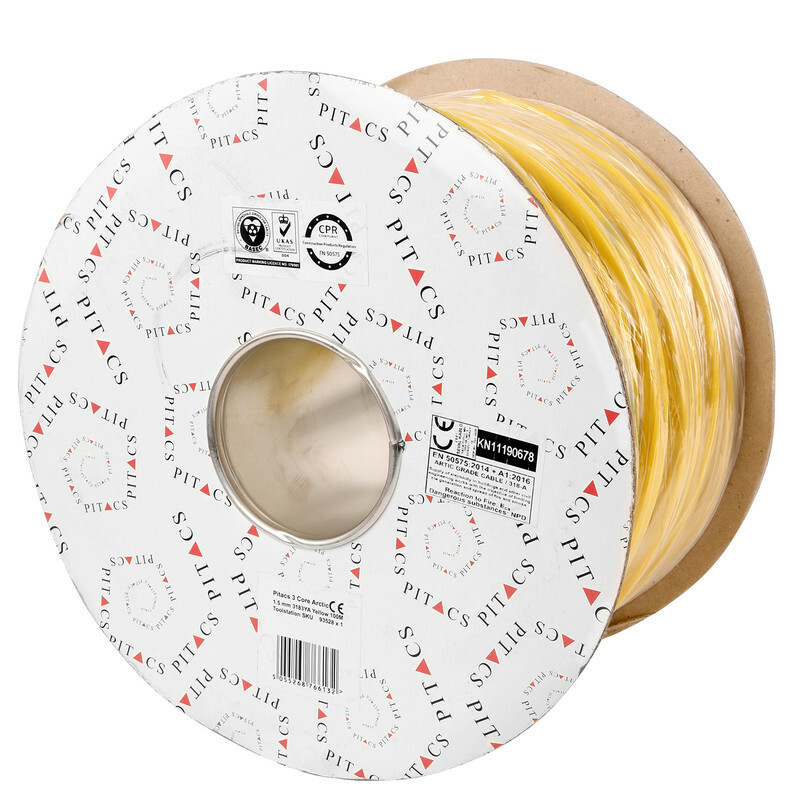 Arctic PVC Cable (3183A) 1.5mm2 x 100m Yellow is rated 4.1 out of 5 by 10. Rated 5 out of 5 by Demo dan from Perfect for the price Ideal for running temporary 110v lighting and power on site. Also made up a few leads with the left overs. Rated 4 out of 5 by Dizzyfpvgirl from Heavy duty extension lead Very thick protection for the cores. Not as flexible as I anticipated so didn't give it five stars. Otherwise its a good product. Rated 5 out of 5 by johnp1937 from excellent for purpose I have used this before to connect horticultural out houses, with a residual circuit breaker.It works well in all winter conditions. Rated 2 out of 5 by Noddy6 from Not the best quality The quality of this arctic grade cable is quite poor, very little flex in it, terrible shade of blue and quite brittle when stripping the outer sheath. This seems to be what PX cables are supplying to Toolstation at the moment. Rated 5 out of 5 by Dave 61 from Good Cable Bought the Arctic Cable because of flexibility to replace all the leads on the power tools in my workshop & very happy with my choice.